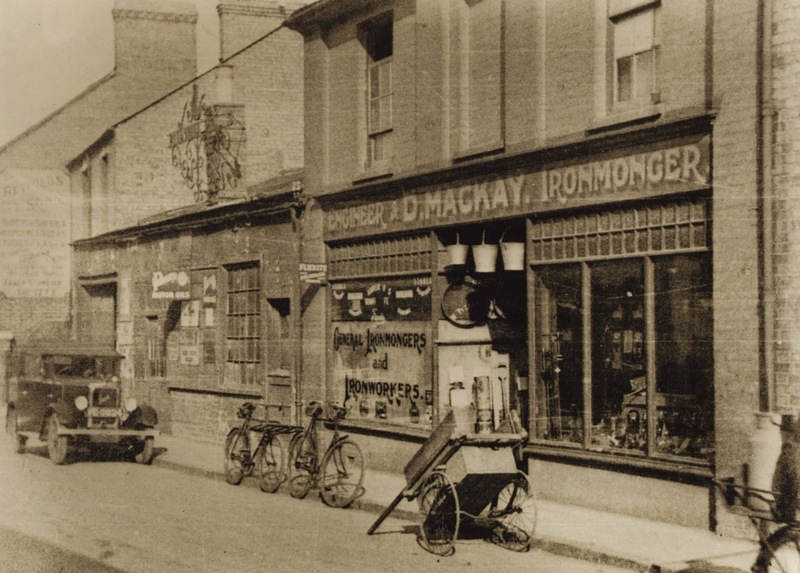 Mackays of Cambridge have been supplying quality goods and services for over 100 years based here on the same site in the beautiful city of Cambridge. We may not have moved physically but our business has most definitely moved with the times. Our forebearers began the business on the principle 'Make ourselves useful and business will come' that principle remains true today at the beginning of our second century of trading. We pride ourselves on the quality of our customer care, and we have built a strong local reputation for this. Our internal and external sales teams are here to help with your enquiries and support you with ongoing projects.Visit us in-store or online where we provide a vast array of products and services, we will be pleased to assist you. "A fine business you have here, I would like to buy it." This very direct offer was put by Donald Mackay to the owner of Alsop & Sons Wheelwright business. The deal was struck with a handshake over the anvil. So began the Mackay family business on the East Road site in June 1912. On this site we have seen historic developments. We have built some of the worlds first Radio telescopes, also the first crystal growing chambers for the high tech industry. We have developed and patented a unique method of building spiral staircases and lots more highly prestigious projects. Many Nobel prize winning scientists have crossed the threshold of our shop and workshops in search of solutions to problems. Mackays has always been flexible and moved into and out of markets as fashions and demands changed. We may look old fashioned but we certainly move with the times. Our website mackay.co.uk is proving increasingly popular. Our traditional markets Hand Tools , Power Tools , Ironmongery and Fasteners & Fixings have been widened to include Ladders & Access equipment , Personal Protection equipment and Garden Tools . We have recently launched our new Storage Solutions website which covers everything from mezzanine floors to small parts containers . Our Metals Warehouse is able to cut ferrous and non ferrous metals to size, it also has a small works section, which can manufacture light engineering jobs to your specification. When you want to celebrate rely on Mackays to provide the very best range of Fireworks to make sure your party goes with a bang!! We have an all year license and we only deal with quality suppliers. We would like to thank our customers and staff, past and present, for helping our family business develop over the past century. If history has taught us one thing it is that we must not 'rest on our laurels'. Now, let us think, what will the next development be? The Cambridge Historian Fonz Chamberlain recently interviewed Duncan Mackay about our History. We would like to thank Fonz Chamberlain for his time and effort producing this podcast. For more information about Cambridge History, please visit the Cambridge Historian Blog .